Real-time bending analysis - unlimited possibilities. BendVision is an advanced high-speed image processing technology that provides real-time analysis of the bending process. 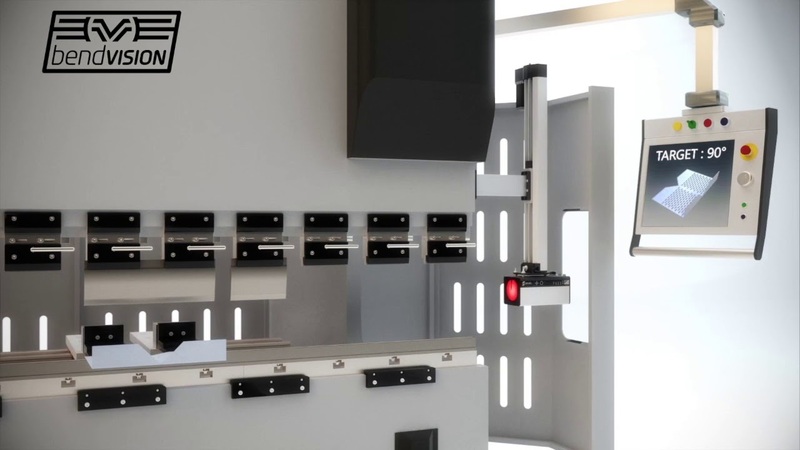 The technology is incorporated into the existing hardware of the press brake optical guarding system so no extra components are required, resulting in an efficient and cost effective solution. 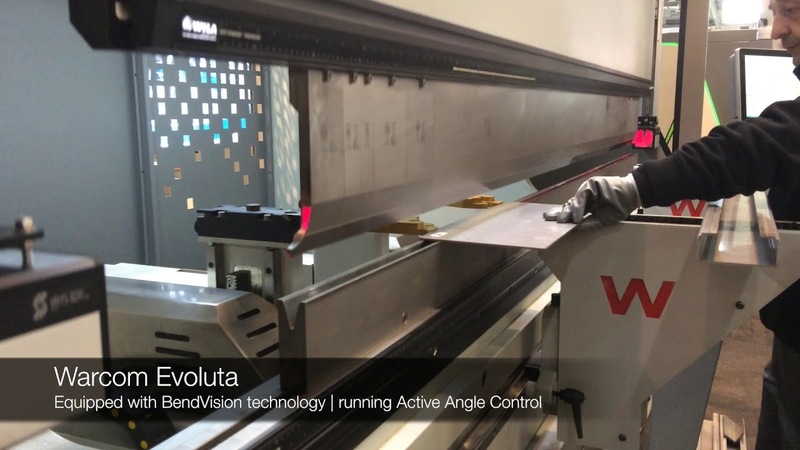 BendVision processes images of the press brake tools and material during the bending process and transfers a range of information to the CNC via SmartLink, including raw and processed images, material bend velocity and live angle data. 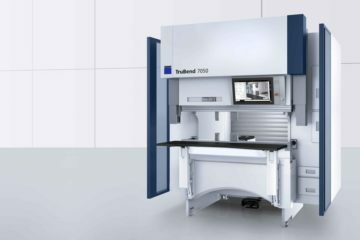 Press brakes equipped with BendVision can make use of this real-time data to provide users with a wide range of customised functions. BendVision technology provides a range of angle measurement data that includes the inside and outside angles of the material, average angle, material warp angle from machine deflection, material spring back angles for various material types, thickness and grain direction, plus end of relaxation angle once the bend has been completed. The BendVision angle data can be used by the CNC to display the live angle to the machine operator as well as the final angle after decompression. Within the bend program, the operator could define angle tolerances for a bend job or on a bend by bend basis. 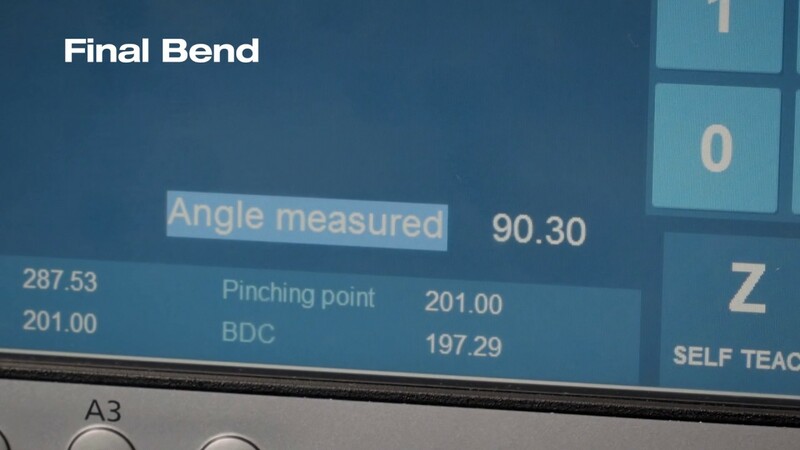 During bending, the final angle can be confirmed automatically on every bend and an alert displayed to the operator if a bend angle is out of tolerance. 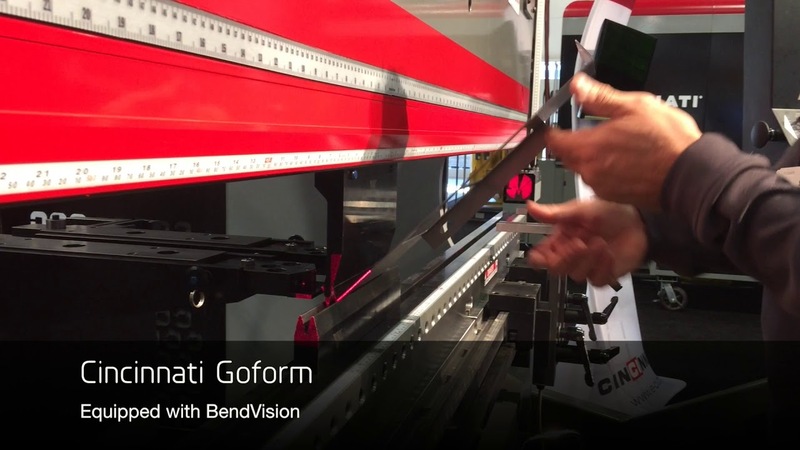 The press brake manufacturer could also use the BendVision angle data to suggest an angle correction to the operator or automatically enter an angle correction. The ability for the CNC to receive BendVision angle data opens up a wide range of possibilities for real-time angle control. Instead of just confirming angles are within tolerance, the CNC can use the live angle plus a measured spring back angle to control the bending depth for flexible active and dynamic angle control solutions. 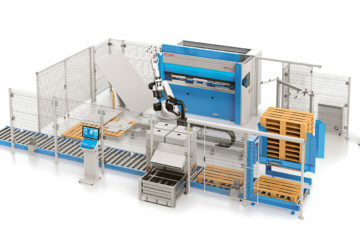 The features and functions that are available with BendVision equipped press brakes will differ and are unique to each press brake make and model. Visit the Showroom pages and contact our Partners for more information and to learn how BendVision technology can improve your production efficiency, speed and accuracy.